Here’s a list of places we have found that are ready to give you a special Pi Day deal – Let’s hear it for π!! Pi Day has really become a thing! Businesses and brands, especially pizza places, are taking advantage of the play on words to offer deals. Here’s where you can head on March 14th to get a Pi Day deal. 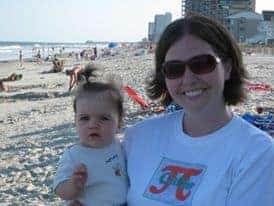 Please note my super awesome Cutie π shirt! Homemade Ice Cream and Pie Kitchen – $3.14 slices of pie. Blaze Pizza – $3.14 pizza, one per guest. And, you can download their app and get $3.14 off your pizza next time you visit. 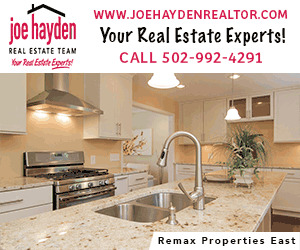 4 area locations: St. Matthews, Middletown, Paddock Shops, Clarksville. Topp’t Pizza – Buy one full sized pizza with three toppings for just $3.14 pizza, all area locations (Louisville, New Albany, Elizabethtown). Cheddar’s – Buy a pot pie and get one free to bring home! Mellow Mushroom St. Matthews – Purchase any pizza and get a small 10 inch cheese for $3.14. Lucky’s Market – Get a slice with a scoop ice cream for $2, along with whole and half pies for purchase. BJ’s Restaurant & Brewhouse – Dine in and get a mini 1-topping pizza for $3.14. Love deals? So do we!